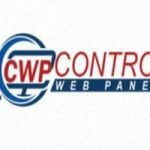 How to create wildcard Subdomains in Centos Webpanel (CWP)? Currently, we can’t create wildcard subdomains in Free control Panel Centos Webpanel. Through this tutorial, you will be able to create wildcard subdomain in CWP. Don’t forget to replace yourdomain.com with your own domain name and yourdoma with the user name of the account. Save the file and start using wildcard subdomains on your account.